Let's face it, as much as Groupon can be heavily criticized for an array problems, there are certain businesses that benefit. I'm not talking about the ones on their last breath because no amount of promotion can bail out a sinking ship. If the coupon can bring awareness to a spot that actually serves up something good, then it can be a win-win situation. 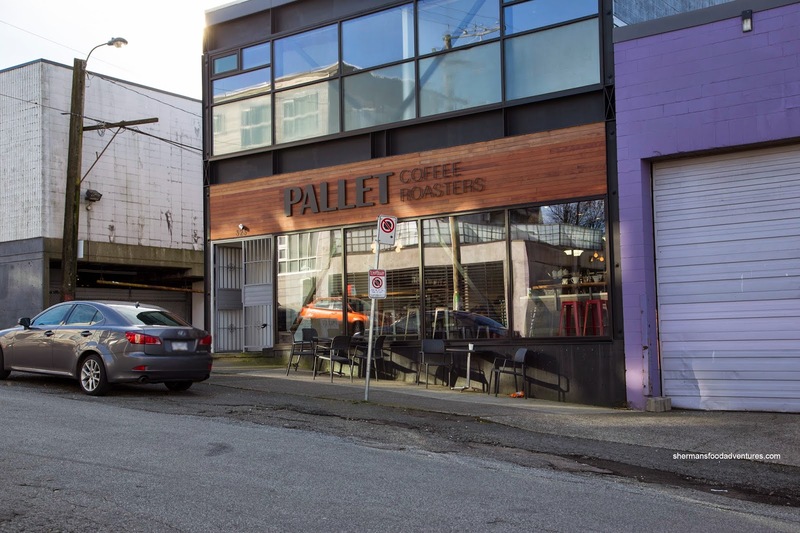 This is especially true for places like Pallet Coffee Roasters (from all reports, great at what they do), where their location is somewhat hidden. Honestly, I would've never visited the place without a Groupon (no, I do not get paid to say this). We ended up dropping by for lunch since the last time we tried visiting the place, it was after 2:00pm and their sandwiches were unavailable. To begin, we both had the Cafe Mocha in a medium size. 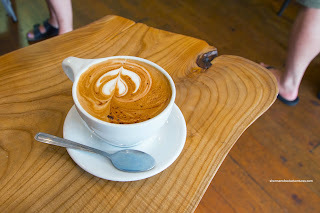 Obviously, a mocha isn't necessarily the best way to judge coffee, but we were in the mood for it. With that being said, it was good being only purposefully sweet with a nice hint of chocolate. We still got the espresso hit in the background. 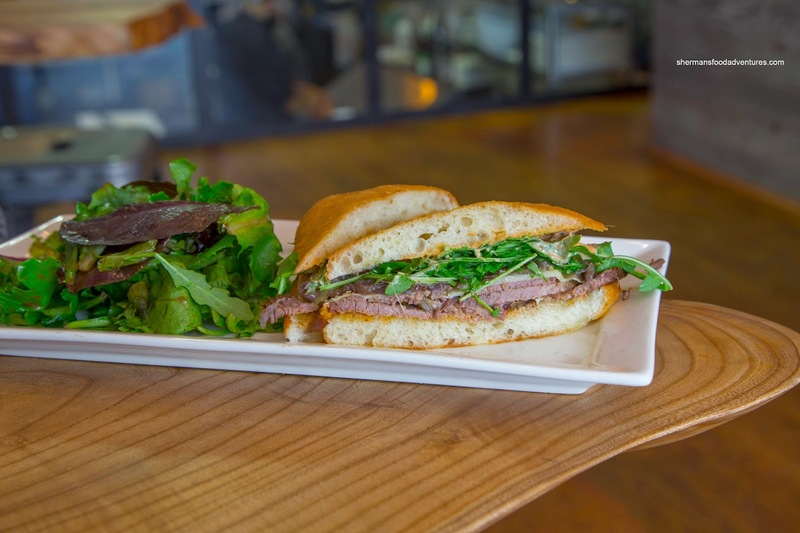 As for the sandwiches, we began with the Beef Brisket constructed of bianca pane, remoulade, beef brisket, gruyere, caramelized onions and arugula. This was surprisingly good with moist and tender beef slathered with enough creamy remoulade to make things a bit messy and adding some zing. The added sweetness from the onions and nuttiness from the gruyere provided more layers of flavour. What brought it together was the soft bread with a touch of chewy-crunchiness. 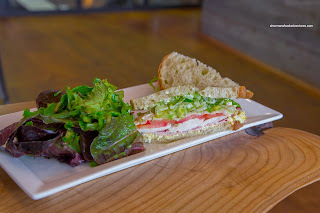 With a milder approach, the London Club featured organic sourdough, mayo, chicken breast, organic egg, ham, tomato, romaine, and mozzarella. Soft and tangy, the sourdough had a firm crust which helped hold the ample amount of well-salted egg salad in place. Since the ingredients were more complimentary than overbearing, the subtle smokiness of the ham and brightness of the tomato were discernible. 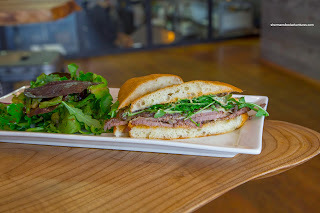 This was a good sandwich, but the brisket was much more impactful. 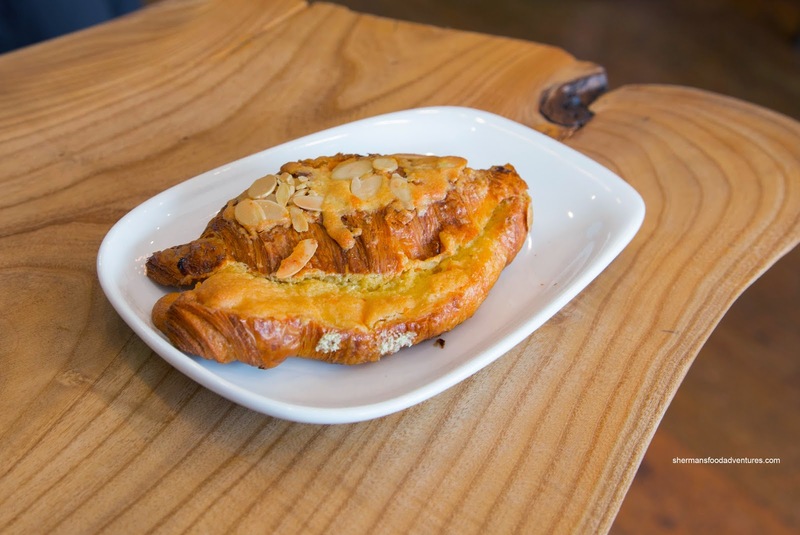 We ended off with 2 pastries including the Double-Baked Almond Croissant. This was fairly sweet with generous amount of almond filling. Crispy with obvious laminated layers, the croissant itself was light and airy despite the double bake and filling. Our second pastry was almost the same as the first being the Double-Baked Chocolate-Hazelnut Croissant. 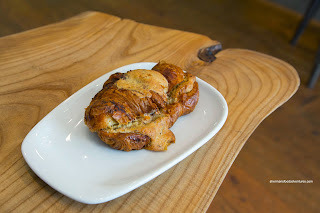 This was just as sweet, if not more, than the almond croissant. There was the unmistakable aroma of butter and hazelnuts to go along with the Chez Christophe chocolate. In the end, I was pretty happy that I had purchased the Groupon. Otherwise, we wouldn't have stumbled on this neat little place that serves up good eats to go with their coffee.